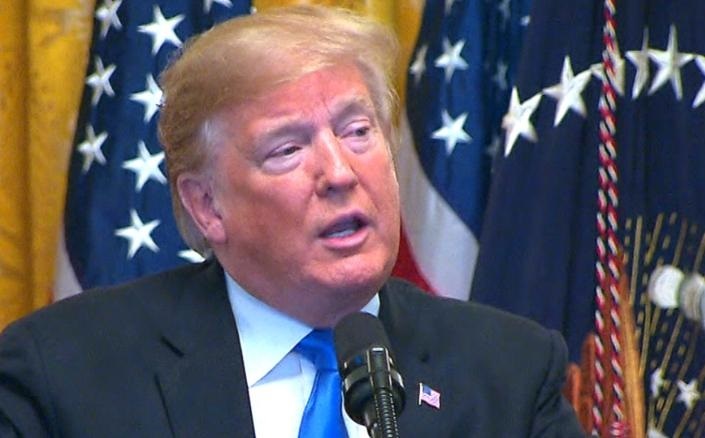 US President Donald Trump condemned as a "horrible massacre" twin mosque attacks in New Zealand that killed at least 49 worshipers and wounded dozens more during Friday prayers. The chief suspect, a 28-year-old Australian-born man, allegedly published a racist "manifesto" on social media before the attack, featuring conspiracy theories about Europeans being displaced, and details of two years of preparation and radicalization leading up to the shootings. "My warmest sympathy and best wishes goes out to the people of New Zealand after the horrible massacre in the Mosques. 49 innocent people have so senselessly died, with so many more seriously injured," Trump wrote on Twitter after the attacks in Christchurch. Trump, whose rhetoric is sometimes aligned with the far right in the United States, added: "The U.S. stands by New Zealand for anything we can do. God bless all!" Moments before, his spokeswoman Sarah Sanders said: "We stand in solidarity with the people of New Zealand and their government against this vicious act of hate." "The United States strongly condemns the attack in Christchurch. Our thoughts and prayers are with the victims and their families," she added. In addition to the main suspect, two other men are in custody, although their link to the attack is unknown. The attacks targeted the Masjid al Noor mosque, where 41 people died, and a second, smaller mosque in the suburb of Linwood, where seven more died. The remaining victim succumbed in hospital. "No one should have to fear such violence in their place of worship," said US Secretary of State Mike Pompeo. "My warmest sympathy and best wishes goes out to the people of New Zealand after the horrible massacre in the Mosques. 49 innocent people have so senselessly died, with so many more seriously injured," Trump wrote on Twitter after the attacks in Christchurch.